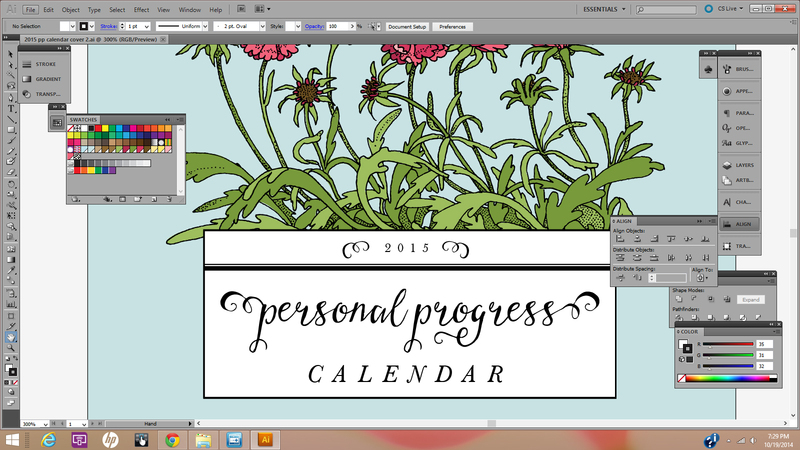 2015 Personal Progress Calendar Sneak Peek! I am working away on my most popular downloads–calendars–and the first one that should be ready will be my 2015 Personal Progress Calendar. One change from last year’s 2014 Personal Progress Calendar is that this year I will be offering both color and black and white versions! 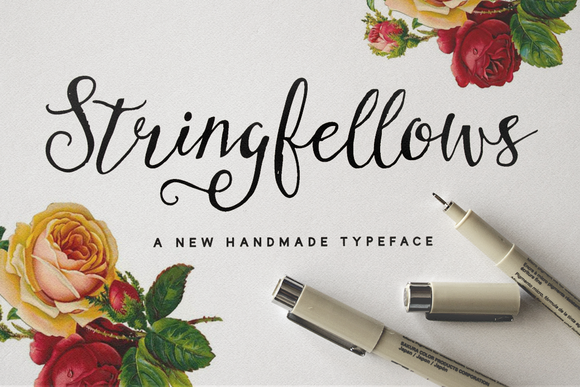 While creating the 2015 Personal Progress Calendar, I was inspired by Stringfellows, an amazing hand-written font that I just HAD to have. (Yes, I am a font addict.) 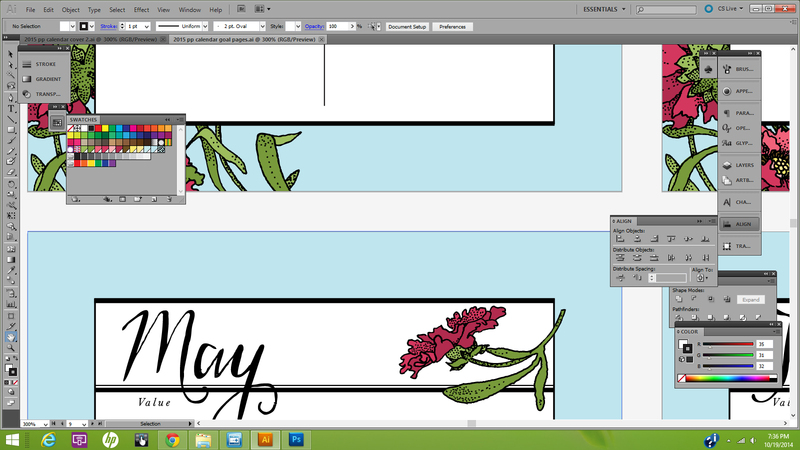 I love flowers, too, so this year’s Personal Progress calendar will have a few of them as well. I have still some work to do on the main designs, instructions, editable PDF files and actually making a prototype, but I hope to have this project done soon! Don’t miss a post or project! Follow this blog via email (sign up in the right-hand column) and be the first to know when an new project is up! Gasp! It’s gonna be stunning! Thank you for all your dedicated work.